Herein lies the mighty Rolling Thunder Revue’s finest 56:13 on wax. To my ears, Zimmerman’s most potent ensemble, anchored by Rob Stoner and Howie Wyeth, affords the revered bard the much-needed muscle to contend with the 70s generation’s au courant rock heroes: David Bowie, Bruce Springsteen, Patti Smith, and the emerging punks – all of whom were leaving the 60s far, far behind in sound and artistic vision. Rob is both pocket and melodic catalyst on this stunning song-cycle, penned by Dylan and Jacques Levy. Just when you think the whole shebang is about to go off the tracks, blood and all, Lieutenant Stoner throws down a passage that rights the train. 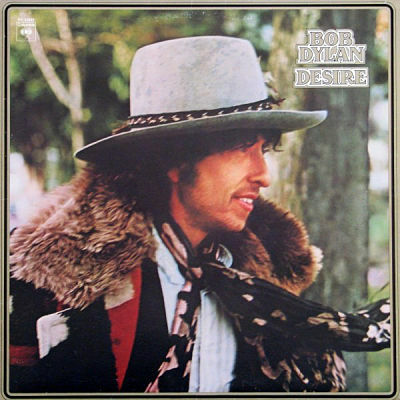 Note that this was first of two album jackets wherein Dylan directs his gaze towards the bassist, noted by Rob Stoner in Know Your Bass Player On Film Season Duex due in 2019.